As a center of government, education and commerce in South Carolina, we see our fair share of action. There’s hustle and bustle but also great beauty in our daily lives! Each day, millions of cars whiz over some part of the 940 plus miles of interstate highway traveling though South Carolina. Yet in, and out, of the city, accidents happen all the time. From small “fender bender’s” to large-scale crashes with fatalities, roads can be a dangerous place for anyone at anytime. If you’ve been in a car accident, you want information and help FAST! Bill Green and Green Law Firm is here for you. Here are eight things you need to know about working with a car accident attorney! If you’re ready for help, call our Columbia offices today at 803-771-2455! 1. “Negligence” is the name of the game. First, it must be established that drivers involved in the accident had a duty of care and responsibility to act in a safe manner behind the wheel; this is an established given. Second, you need to prove that the other party involved in your accident did not act in a reasonably careful way. Lastly, it must be proven that their actions directly caused the accident and your injury. 2. It’s not all black and white; in South Carolina, you can be “kind of” at fault and still get compensation. South Carolina follows the rule of comparative negligence. This means that you can partially be at fault for an accident and still be awarded compensation. As long as you are less than 51 percent responsible for your accident, you can still be awarded damages. 3. A “stand up” attorney doesn’t want your money. If you’ve been in an accident, you’re already stressed out. This is why it costs nothing (yes, nothing) to get our experienced legal team to fight for you. There’s no out of pocket expense to working with Green Law Firm; we’re compensated only on the damages you receive. We don’t want your money… We want your business and your best interests. 4. Evidence will make or “break” your case. The number one thing you need to have a rock-solid car accident case is evidence! This is what’s used to prove that the responsibility for the accident lays in the other driver. We work tirelessly to secure evidence quickly and accurately on your behalf! From police reports to witness statements and accident-scene photos and more. The rule of comparative negligence we mentioned earlier? 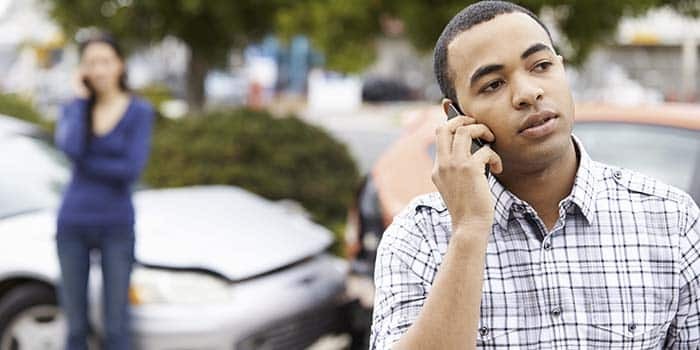 It states that the more you are responsible for your accident, the less compensation you can claim. So… less, literally is more! The less responsibility you have, the more compensation you can be awarded. So, if you are deemed to be 10 percent responsible for an accident, you and the total compensation of the accident is valued at (for example) $10,000 then you will receive $9,000. 6. We can get you retribution. We can’t take back what happened, but we can help you to get peace of mind by pursuing punitive damages. If the negligence that leads to your accident is severe enough (for example, if the other driver was drunk behind the wheel), then we can seek punitive damages on your behalf. Punitive damage is a type of compensation designed to punish the individual or party responsible for the accident for wrongdoing. 7. You have time… But not that much time. South Carolina law states that you have three years from the date of an accident to file a claim for damages. This is helpful, because sometimes injuries sustained from your accident may not be visible or felt right away. Keep in mind; the more time goes by, the harder it will be to secure evidence for your claim, though. It’s important to take action as soon as possible! 8. Not all cases go to court, and that’s ok. But, if they do, we’re ready! Less than 10 percent of all personal injury cases go to trial; most are resolved out of court between parties and end in some settlement. This is because court trials can be lengthy and a drain of resources; most people want a post-accident legal situation to be wrapped up as quickly as possible! We are ready to act swiftly and aggressively on your behalf. If needed, we’ll go the distance and take your case to court! When is the right time to get an attorney after a car accident? Right away! The sooner you connect with the team at Green Law Firm, the sooner we can start securing evidence that is essential to your claim. The longer you wait, for example, the harder it will be to secure the statements of crucial witnesses who may be unwilling to step forward. Your best step is to act and act fast! It’s always best to assume the other party involved in your accident also has legal representation and that they will do the best they can to discredit your claim! Green Law Firm has years of hands-on experience helping people to receive just compensation after being injured in an accident. We will review your case risk-free! Contact us any day, any time 24/7 at 803-771-2455 to get started today.